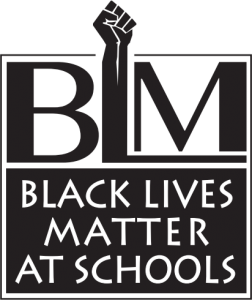 Today marks the halfway point of the Black Lives Matter Week of Action in Schools. It's pretty exciting and inspiring to think of educators across the country having conversations about racism and liberation with young people. In some ways I envy middle and high school teachers during a week like this. There seem to be a lot more resources available for older kids (and their teachers). Additionally, a lot of resources provided for elementary school make abstract connections to BLM, but sometimes miss the mark. But at the same time, I know that I'm incredibly lucky to be having conversations about the Movement for Black Lives with elementary schoolers. Elementary school aged kids are creative, curious, and passionate about fairness. Talking about topics like globalism and diversity with 5th graders can be challenging though. It can only work if you can make these topics concrete and relatable. Although my 5th graders are picking up on sarcasm and can identify and comprehend figurative language more consistently, they're still surprisingly concrete in their thinking a lot of times. Yesterday, my co-teacher and I tried to discuss the principles of diversity and globalism by integrating them into my math lesson. I presented some statistics (in the form of fractions) about the number of Black Americans and New Yorkers who are born in other countries. When we tried to unpack the numbers though, our kids seemed stuck. I'm not sure if it was the fractions that were confusing, or something else, but either way the conversation didn't really go anywhere meaningful. Today I was out for PD, so I didn't have the opportunity to talk about Queer affirming, Trans affirming, and Collective Value. 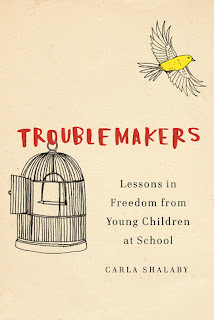 If we don't address them tomorrow, I know I'll find a way to bring them into our ELA/social studies unit.